Wolves have won their appeal against Rajiv van La Parra's red card against Bournemouth on Saturday, but Matt Doherty will serve a three-match ban. Wanderers ended the Championship game at Molineux with nine men and lost 2-1. 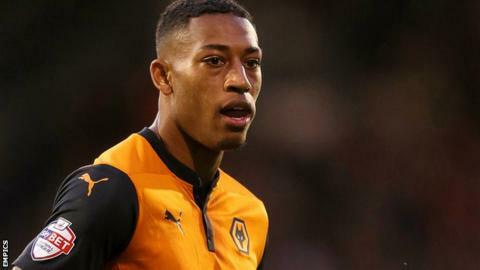 Dutch winger Van La Parra, 23, was dismissed for violent conduct by referee Mike Jones following a collision with Bournemouth defender Steve Cook with Wolves leading 1-0. Defender Doherty's suspension will stand after his stoppage-time red card. The 22-year-old was sent off for a challenge on Brett Pitman and will miss Wolves' next three matches. Van La Parra's punishment has been withdrawn and he will be available for Saturday's Championship game at Sheffield Wednesday. On Monday, Wolves owner Steve Morgan was charged by the Football Association for his actions after the match. Morgan confronted Jones on the touchline at full-time, for which he has since apologised.